The BT Young Pioneer Award is now open for nominations, with a prize of £5,000 in tech and more to help young tech talent develop their ideas. The annual AbilityNet Tech4Good Awards are now in their 9th year, with a variety of awards sponsored by industry and designed to recognise companies and individuals using technology to make the world a better place. The awards include the BT Young Pioneer Award, which aims to find young people between the age of 9 and 18 who have come up with great tech ideas. The award is officially now open for nominations, which can be either an individual person or a group of up to five who have a pioneering idea for technology that could improve the lives of others. You can either apply for the award yourself or nominate a person or group of young people you've encountered with a tech project, whether that's a project started in school or something they've made in their spare time. Applicants will need to demonstrate how their idea is improving lives, society, or the environment, and will need to explain how their idea meets a need or problem they care about. The project also has to be different from any solution already available on the market, and applicants will need to demonstrate how they plan to develop or grow the project in the future. 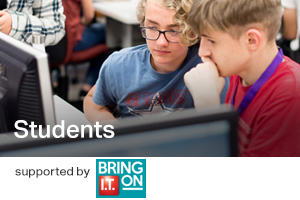 The winners will receive £5,000 of tech to help scale their projects and expert help from BT to help them achieve their goals. All the finalists will also get tickets to visit Bletchley Park, the historic site that codebreakers worked from during World War 2 and an inspirational place of invention. Last year's winner of the BT Young Pioneer Award was a group of four young inventors with their project Water Watcher, a small device that fits onto a water tap and helps alert people if the tap is left running. In addition to the environmental impact of reducing water waste, it also improved the quality of life for those living with issues such as memory loss, dementia, or brain injury.